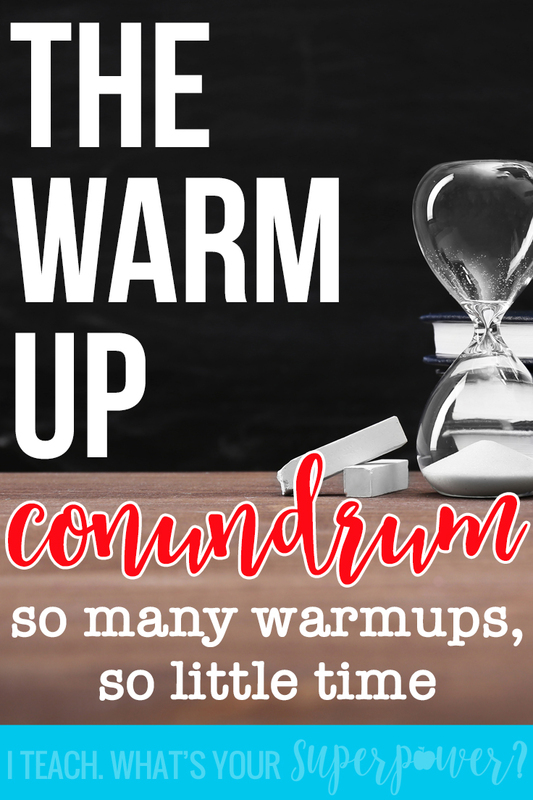 The Warm Up Conundrum | I Teach. What's Your Superpower? Sounds like an epidsode of The Big Bang Theory, doesn't it? 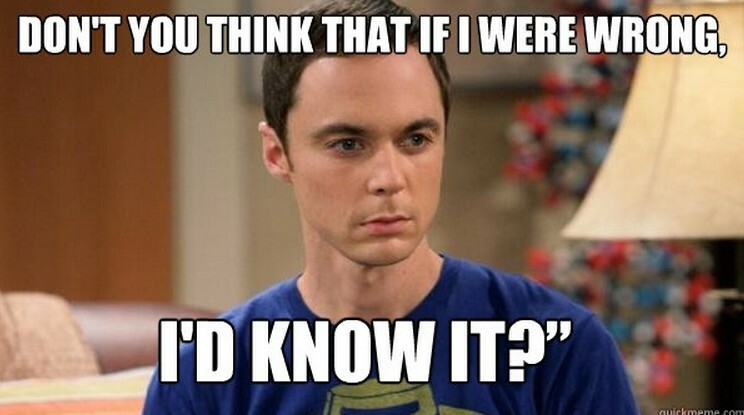 Unfortunately, I'm not nearly as funny as Sheldon and the gang. Anyway, warmups. The fact is, there are lots of great warmups out there. In fact, you could spend all day on warmups. Doing the warm up, peer checking the warmup, reviewing the warmup, grading the warmup. You could warmup All. Day. Long. But then, nobody would ever learn anything. Sweet mercy, please don't do all of these to your students. This really hit me, when I moved to 4th grade and was compartmentalized. I had 2 hours to teach reading, writing, grammar, and spelling and work in some independent reading time and learning stations. Every minute counted. I couldn't wrap my head around it until I ignored minutes and started thinking about percentages. What percentage of my time should be dedicated to reading? Writing? Independent reading? Word study? It was a break through moment for me. It also made me realize I had very little time to dedicate to warming up. Now that I'm working with small groups, I'm limited to a 30 minute time slot (it's really about 25 minutes because getting all of my friends collected is like herding cats sometimes. And sometimes little people really, really, really need to tell you about the tooth they just lost.) I can't spend half of it warming up. Their teachers let them away from precious instructional minutes, so I need every minute to count. 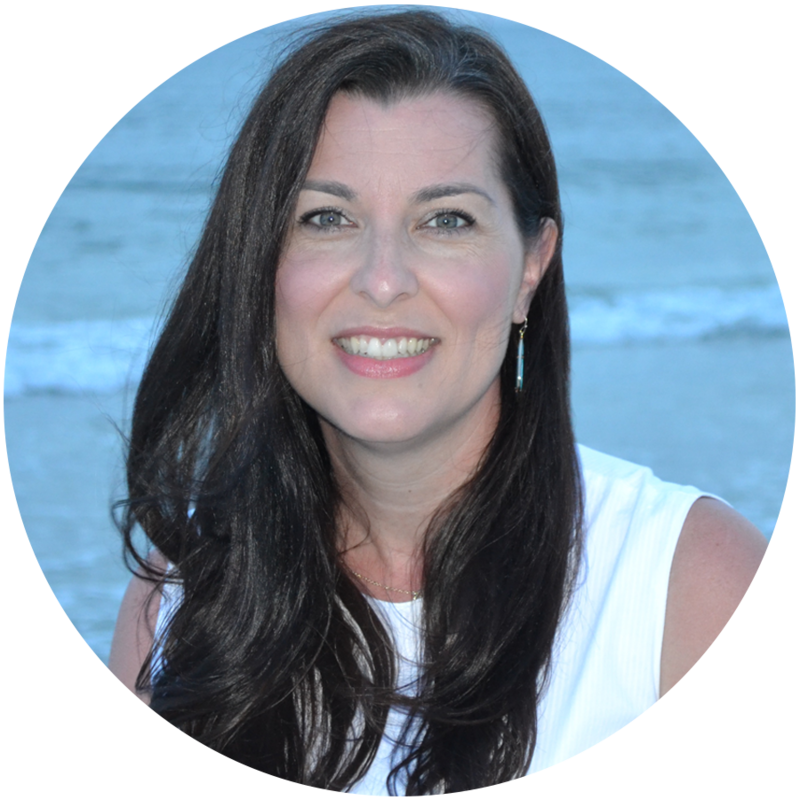 I found out about this FREE resource by Whole Brain Teaching from Amanda at Teaching Maddeness. 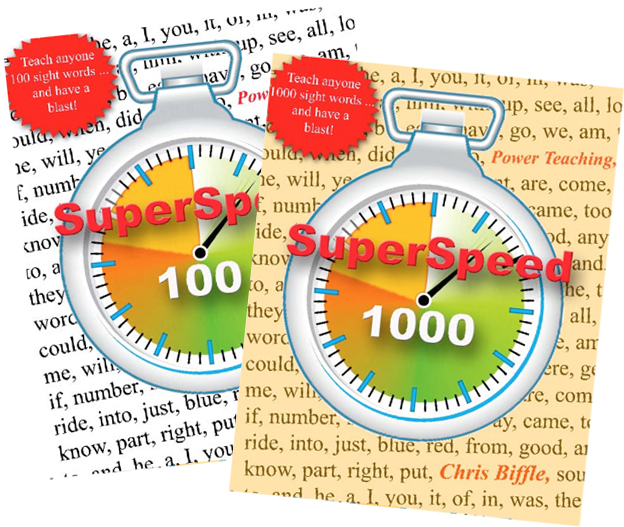 There are two levels, Super Speed 100 and Super Speed 1000. I love them. 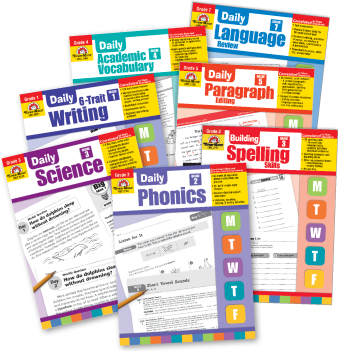 It takes us about 2 1/2 minutes for fluency practice that focuses on the most common words. Then, we work on a very fast Phonics review. We practice a phonics skill for about 1 minute. Next, I have them apply it by spelling nonsense words. Let's be honest, if you show 2nd graders and up a picture of a cat and have them circle the correct spelling "cat" or "cut", they can get it right. They have seen that word a million times, but they still probably don't know the short a sound. Nonsense words force them to think about sounds. After that, it's on to our guided reading group. We reread something from the previous day to practice reading fluently. This is quickly and with whisper phones. Every elementary teacher on the planet needs whisper phones. I was lucky enough to get mine from Lakeshore during a sale for $1.99 each. Since every group uses them, I wipe them down with Clorox wipes between uses. Because ewwww. Then, it's off to the races and we're learning, learning, learning. Don't want to let go of your warmups? Don't. Just consider rotating through them monthly or quarterly. It's not that warmups aren't valuable (they certainly are! ), the reality is there's just never enough time in the day. As my groups have finished Super Speed 1000, we're moving on to Jennifer Jones picture of the day inferencing lessons (GREAT post here from her on that). We'll do that for awhile and move on to something else. 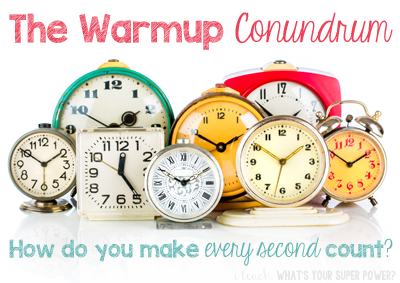 Got any great warm up tips to share? Your post really hit home; there's never enough time!! 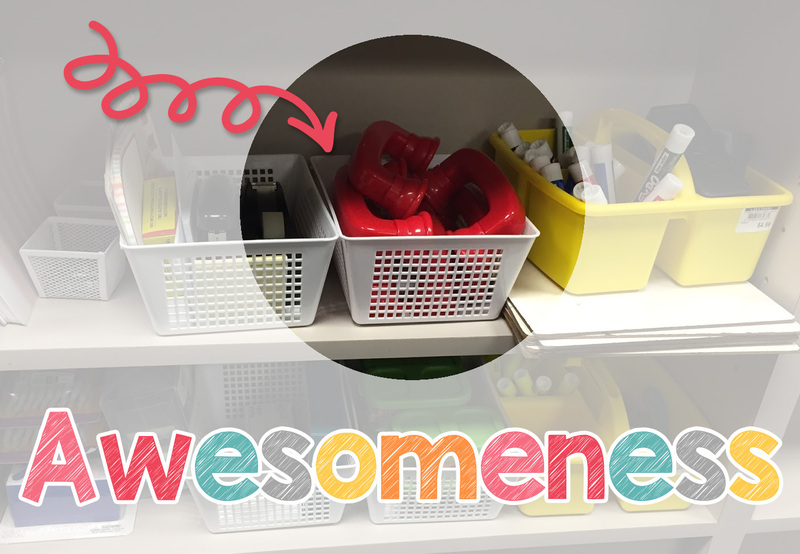 We use whisper phones, too (call them fluency phones) & the kids never get tired of using them! I'll have to check out Super Speed! Thanks Megan! !